The Prevention of process safety incidents (PSIs) has received emphasis at Dow for a long time. In 1995, business and corporate environmental, health and safety (EH&S) leadership established formal goals to significantly reduce incidents over the next ten years. These goals provided the platform for driving breakthrough performance impacting employees, customers, communities and the environment. This emphasis yielded a more-than-threefold decrease in PSIs over those ten years (Figure 1). In 2005, another ten-year goal was established to further reduce the number of PSIs and their severity by 75% and 90%, respectively. As Figure 1 shows, this goal was met in 2011 and sustained through 2015. This article focuses on some of the key programs that enabled us to break through the plateau we had reached in 2005–2008 and continue to drive us closer to zero. A second article next month will cover other crucial programs. Figure 1. Dow has significantly reduced the number of incidents per year. Figure 2 illustrates the three foundations of effective process safety programs. These aspects intertwine to form the overall approach to success that we have seen in practice in Dow. At the base of the triangle, supporting everything we do, is leadership. Leadership support at all levels of the organization is the essential foundation for sustaining success in process safety. On the left side of the triangle are the process safety systems that Dow has implemented globally through our operating discipline management systems. These systems include Dow’s Process Risk Management Standard (PRMS) and Global Mechanical Integrity Safety Standard (GMISS) as well as our personal safety standards, and many others. Compliance with these internal requirements, which typically go beyond the minimum mandates of regulations, is what enables long-term success. On the right side of the triangle is operational discipline, i.e., what occurs in the plant on a daily basis. Operating discipline performed successfully enables effective implementation of process safety systems. For example, an inspection protocol established under GMISS for a facility’s piping circuits must be properly followed for effective inspections and a decrease in containment losses resulting from mechanical integrity failures. How the plan is executed will determine whether the outcome is successful or not. Dow’s commitment to continuously improve both personal and process safety performance aligns to corporate core values. Dow established EH&S as its top priority, engaging all employees across a multitude of business and functional sectors. Dow has clear expectations that all employees are responsible for safety, and measures both business and employee performance against achieving safety expectations. Sponsorship of EH&S begins at the board of directors; it is a key aspect of all leadership roles, as underscored by goals, expectations and resource allocation. Figure 2. An effective process safety program requires three essential elements . Leadership governance. Ensuring that ongoing support, resources and priorities are properly managed is crucial for achieving process safety improvements. The operations governance team (OGT), led by the corporate EH&S director, is designed to drive business and functional accountability for EH&S performance in operations facilities. It also provides functional oversight and direction regarding alignment to Dow corporate EH&S policies, standards and requirements. The OGT oversees the corporate risk management of facilities to drive EH&S improvements and ensure the operating business and regional teams are managed appropriately in accordance with the corporate risk criteria. Financial commitment. Substantial corporate capital funding is allocated to supplement business capital to manage overall corporate risk and promote timely completion of process safety projects. These projects are identified and prioritized through various assessments. Corporate-funded projects are co-managed by the business group, process safety and EH&S leadership. These corporate funds are designated as high priority EH&S capital to address targeted risk reduction projects along with high priority personal safety improvement projects. Facility leadership. Production leaders at the individual facility are expected to demonstrate a competent understanding of the facility’s chemistry, technology and process safety risks. One mechanism for validating this knowledge is through the new leader reactive chemicals and process hazard analysis work process. This includes having the person make a presentation to subject matter experts, process safety and EH&S professionals. New production leaders are expected to complete this process within the first 90 days of taking responsibility for a facility; they are not authorized to approve high risk management-of-change reviews until successful completion of the process . Employee engagement. Personnel operate facilities daily with a clear expectation that EH&S is their top priority. All facility employees, including the operators, are expected to set personal EH&S goals aligned to those of their facility. Figure 3. This partial list illustrates the clear and concise nature of the rules. Key influential leaders focus on driving desired behaviors through continued engagement in field activity and coaching. All employees, regardless of position, are empowered to report issues and take action to keep themselves and the work environment safe. Operations personnel can shut down the plant if they have an EH&S concern, even for a minor leak. A game plan is only as good as its execution. We achieve our goals not only through the act of setting a target but also in doing what is needed to reach and exceed that target. Therefore, operating discipline is essential for enabling success on a day-to-day basis. Here, we’ll look at two operating discipline systems that contribute to Dow’s sustained success in process safety. We’ll cover three more in Part 2. The prevention of large scale accidents that have a low frequency of occurring but high consequences depends upon an acute awareness of worst-case scenarios and the assurance that the protection layers are not compromised. Dow uses cardinal rules to maintain a high awareness of these types of scenarios and help prevent major incidents . Cardinal rules are technology specific; they have been used for some of our processes for a long time. In the last few years, Dow has placed an increased emphasis on ensuring that all technologies have cardinal rules developed and then disseminated all the way to the shop floor. These rules follow the format of the biblical Ten Commandments. They are short statements that are expressed in absolute terms like “never” or “always.” Limiting the number of these rules for a given technology emphasizes the importance. We consider a maximum of 10–15 effective; any more can dilute the emphasis. Most statements are developed as a result of a significant Dow or industry incident involving the particular technology. All Dow personnel involved in a technology are required to know, understand and abide by its cardinal rules. Violating a cardinal rule may result (and, in many cases, has resulted) in a significant incident with potential impact to personnel, property and the community. A violation that does not result in an accident is recorded as a near-miss and appropriately investigated. The learnings from the investigation are leveraged across the technology to help prevent recurrence. An implementation example. The Dow acrylic monomers technology owners formalized their list of cardinal rules in 2010, based on internal and external storage and handling standards that had existed for many years. These standards consist of numerous pages of detailed rules and guidelines for the safe handling of acrylic monomers. Many of the rules and guidelines reflect best practices and learnings from past events, including big and small, internal and external ones. The key benefit of taking an extensive standard and developing a list of cardinal rules is to distill crucial concepts down into short statements that can be more easily hard-wired into people’s way of working. Figure 3 shows a few examples of the acrylic monomer rules. Table 1. Background on the hazard, its potential impact and minimum safeguards reinforce the importance of the rule. Behind each of the short statements is detail to reinforce the importance of the rule. Such detail includes a description of what could happen (or has happened) if the rule is violated, where in the plant the hazard exists and what minimum safeguards shall be in place. Table 1 provides an example for one of the rules from Figure 3. Once their development was finalized, the cardinal rules were incorporated into the training program for all personnel who interact with the technology. Operators, engineers, production leaders and others were trained initially on these rules in instructor-led interactive training sessions with the technology experts. Periodic formal refreshers ensure retention. Furthermore, the rules are built into the daily work practices to maintain awareness in everyone’s mind. For example, each operating plant control room prominently displays a copy of the rules as do some staff buildings. The rules are frequent topics of safety meetings and even informal discussions. Corporate memory is important because bad things can, and have, happened at Dow and in industry: uncontrolled chemical reactions, fires and explosions, mechanical overpressure, building detonation, and more. They can lead to devastating consequences: property damage or destruction, capital losses, environmental impact, and injury or death. The need to maintain corporate memory gets even more critical as we continue to improve process safety performance. As incidents become less and less frequent, we may become less vigilant over time. Many individuals may never personally experience a serious event during their career. In fact, that is the real goal: to never experience a serious event. Chemical properties of hazardous materials. The training program details the properties of those chemicals used at the facility. It includes a list of chemicals, how to recognize them, how to respond to exposure, their flammability and toxicity, reactivity hazards and properties of those chemicals that operate at conditions that could be hazardous (e.g., high temperatures and pressure). Hazardous scenarios. 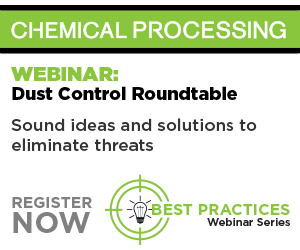 This training covers the reactive chemistry and hazards associated with systems that could be impacted by those working in the process areas, potentially causing a life-threatening event. The content includes the chemicals involved, typical initiating events and the extent of the impact (distance/consequence). It presents scenarios for both normal operations and abnormal situations. Main protection systems and design features. The training describes the main protection systems and design features that contribute to safety (e.g., no water in the process, no aluminum used in the process, layout and building design). One key focus area concerns what aspects of the protection strategy the operations personnel can directly affect, such as procedural and emergency response protection layers. Major incident history. This training reviews past serious events, including the worst flammable and toxic releases, and fatalities that have occurred in the facility or in the technology. Delving into past incidents underlines the importance of protection systems and the credibility of the hazards. Photographs, if available, are provided to illustrate the consequence of the incident. Many trainees will relate more effectively to visual images. Each facility must develop the appropriate training. New employees must receive initial training while other employees must get refresher training on a recurring schedule. A variety of delivery methods, from instructor-led training to computer-based self-paced learning, can be used. This two-part series (the second article will appear in November’s CP) is based upon portions of a paper given at the 13th Global Congress on Process Safety in San Antonio, Tex., in March 2017. The full paper appears in the Proceedings of the Congress and also will be published in the December 2017 issue of Process Safety Progress. 1. Klein, J. A. and Vaughen, B. K., “Process Safety: Key Concepts and Practical Approaches,” CRC Press, Boca Raton, Fla. (2017). 2. Study, K. A., “Training Management of Change Approvers,” presented at the 6th Global Congress on Process Safety, San Antonio, Tex. (Mar. 2010). 3. Champion, J. W., Stevick, K. P., Study, K. A. and Van Geffen, S. F., “Dow Learnings and Actions from The Deepwater Horizon Accident,” Proc. Safety Progr., p. 335, Vol. 34, Iss. 4 (Dec. 2015).